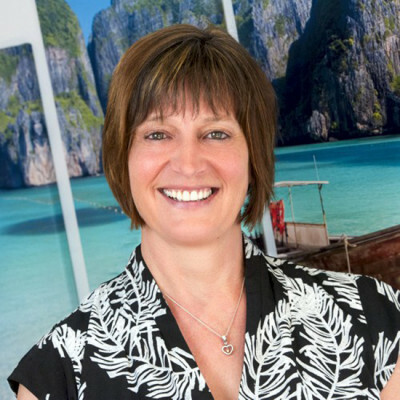 We had a fantastic turnout for our November annual conference this year, with over 300 in attendance, including Travel Consultants, staff, and a special guest from the Travel Trade Gazette (TTG) – Pippa Jacks. We were very excited to invite Pippa to attend, and we allowed her full access to corporate team and franchisees throughout the day to find out more about what we do. She also got a sneak peak into all the exciting things we have planned for 2019. Our Travel Champion Daley Thompson also met and interviewed with Pippa to talk about his time with us and how he came to be our Brand Ambassador. 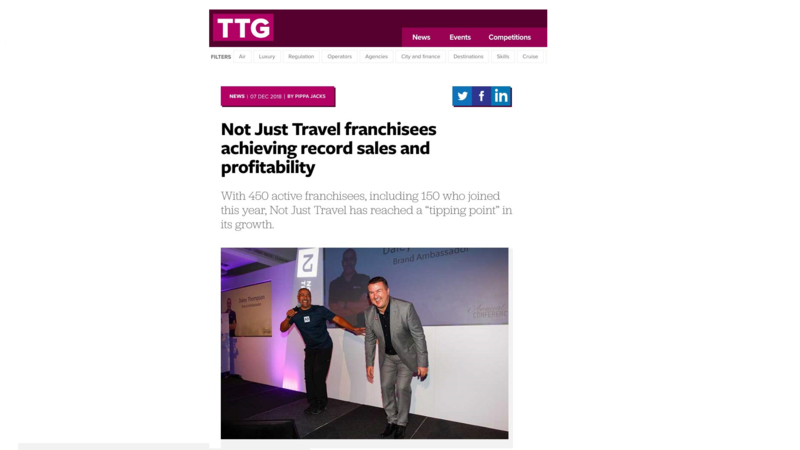 We were delighted to find we had been featured with a glowing review in the latest publication of TTG, with the headline “Not Just Travel franchisees achieving record sales and profitability”. The day was a huge success, and to be featured in a Travel Trade Gazette spread is a fantastic achievement in itself.